Police raids on gay establishments were very common occurrences in the 1960s. However, during the night of June 27th and the early hours of June 28, 1968 the patrons of the mafia ran Stonewall Inn of New York City had enough. This time, the police stormed into the bar and the drag queens, gay men, and other individuals fought back. The following six nights led to protests on the streets of the bohemian West Village. The Stonewall Rebellion was a defining moment in the history of the gay rights movement. That uprising awakened gay men and lesbians to the idea that they were being attacked as a group. That, in turn, awakened them to the idea that they needed to organize as a group. The following year, the first gay-pride parade was held in remembrance of the Stonewall Riots. The parade lasted half of the expected time due to excitement and fear of marching with signs that expressed homosexuality. The following year, in 1971, another march was held. There were many more people that marched in the parade and even more watched. 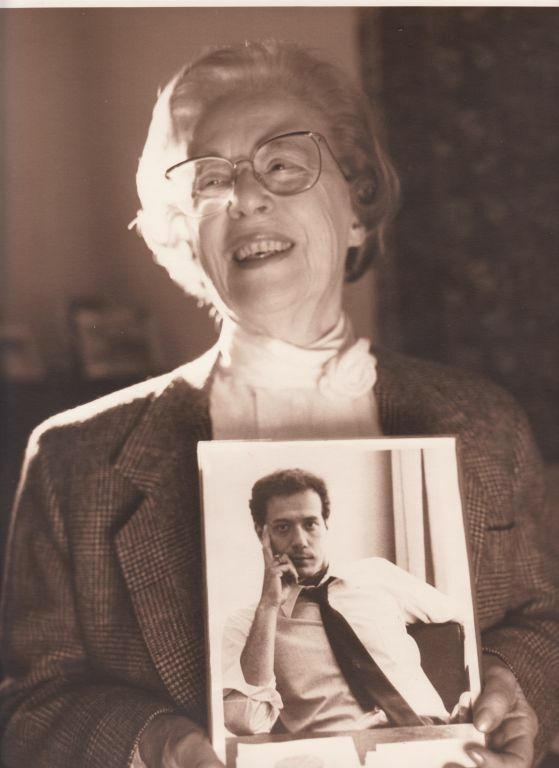 PFLAG’s origins all start with a woman named Jeanne Manford, who saw on television, her son being tossed down an escalator during a gay rights march as NYC police stood by and watched. During the 3rd New York Pride Parade, Manford marched with her gay son, Morty. She carried a sign that said, “Parents of Gays: Unite in Support for Our Children.” As she was marching, the crowd screamed, yelled and cried. Initially, she thought they were cheering for Dr. Benjamin Spock, who walked behind them, but as people began to crowd around her, she realized they were reacting to her. After many gay and lesbian people ran up to Jeanne during the parade and begged her to talk to their parents, she decided to begin a support group. The first formal meeting took place in March of 1973 at a local church. Approximately 20 people attended. The organization spread by word of mouth, offering parents of the LGBTQ community a safe place for support and it grew across the country. Representatives from several different gay rights/support groups met in Washington D.C. following the 1979 National March for Gay and Lesbian Rights. They decided to begin to contact each other and Manford’s group was one of the leaders. The name of PFLAG has changed over the years from POG (Parents of Gays) to Parents FLAG and it officially became PFLAG in 1993. In 1981, members decided to launch a national organization with a headquarters in Los Angeles. By 1987, PFLAG National moved to Denver and then in 1990 it moved to its present home in Washington D.C. PFLAG added the word "Families" to the name in 1993, and added bisexual people to its mission and work. By the mid-1990s a PFLAG family was responsible for the Department of Education’s ruling that Title 9 also protected gay and lesbian students from harassment based on sexual orientation. By 1998, PFLAG had added transgendered people to their work. Presently, PFLAG is known as a socio-political organization for families and friends of lesbian, gay, bisexual, and transgender people. The mission statement describes the main goals of PFLAG as supporting and promoting the health and wellbeing of all LGBT individuals and supporting their families through education and positive advocacy. The three main goals presently are Support- to cope with an adverse society, Education- to enlighten an ill-informed public, and Advocacy- to end discrimination and secure equal rights. There are over 200,000 members and over 250 affiliates. PFLAG’s history is about never settling for the status-quo and about fighting for equality and rights for all people of all backgrounds. PFLAG’s rich history showcases the importance of embracing the past in order to create a safer and secure future for all people that are LGBTQ and that being yourself is something to be proud of and embraced. This chapter of the national PFLAG organization began meeting in the summer of 2009. Within the first year of existence, PFLAG Butler began engaging our community to provide support, education and advocacy for sexual and gender minorities in Butler County. In the spring of 2010 the chapter began to address the issue of aggression towards GLBT students in the Butler Area School District (BASD). Meeting before the school board, as well as with school administrators and staff we were able to inaugurate training on how to recognize and respond to bullying of GLBTQ students. This training was provided by the Gay, Lesbian, Straight Education Network (GLSEN). In addition, we have equipped BASD students at the secondary level to begin their own Gay Straight Alliance (GSA) at the school. We are proud to announce their first meeting was held the first week of March 2011.